1. 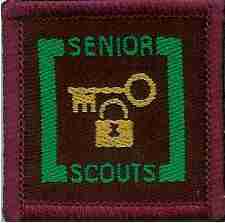 Pass or have passed the Crime Prevention badge. a. Take part in a group visit to your Local Police Station or arrange for someone from your local police station to visit your Group. iii. duties of a Crime Prevention Officer. b. Carry out a survey of your home and Scout H.Q. with regard to (a) above. 6. Design a crime prevention poster and slogan other than that as covered in Section 5 of the Scout Crime Prevention Badge. 7. Give a talk on a crime prevention topic or on crime prevention generally to other members of your Group or Area.